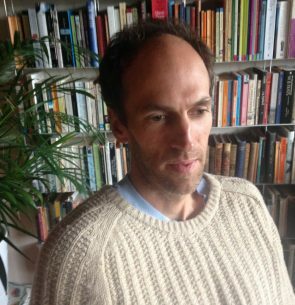 Benjamin Markovits grew up in Texas, London, Oxford and Berlin. He left an unpromising career as a professional basketball player to study the Romantics – an experience he wrote about in Playing Days, a novel. Since then he has taught high school English, worked at a left-wing cultural magazine, and written essays, stories and reviews for, among other publications, The New York Times, Esquire, Granta, The Guardian, The London Review of Books and The Paris Review. He has published seven novels, including Either Side of Winter, about a New York private school, and a trilogy on the life of Lord Byron: Imposture, A Quiet Adjustment and Childish Loves. In 2009 he was a fellow of the Radcliffe Institute for Advanced Study at Harvard and won a Pushcart Prize for his short story “Another Sad, Bizarre Chapter in Human History.” Granta selected him as one of the Best of Young British Novelists in 2013. In 2016, his novel You Don’t Have To Live Like This was awarded the James Tait Black Prize for Fiction. Markovits lives in London and is married, with a daughter and a son. He teaches Creative Writing at Royal Holloway, University of London.